A legacy to many South Africans, Dairybelle received her final Liquidation order and is closing her Epping facility doors. Her history, extending from the late 1920's, has seen both success and challenges. Imperial Cold Storage and Supply Company (ICS) was formally registered in 1899 and dominated the South African packaged food sector for almost a hundred years. In 1934, after a ten-year monopoly granted by the then government of now Zimbabwe ended, the company saw financial trouble. Aggravated by the Great Depression and a slump in demand for meat, investors such as Anglo-American Corporation were highly sought after. Growth and changes in the organization led to dairy divisions offering butter, yoghurt, and UHT long-life products. Dairybelle firmly established itself as a serious player. In 2014, Clover purchased the yoghurt and long-life milk business of Dairybelle for R200 million. Under the pressure of global competition, the much-loved brand took a new direction through negotiation for sale with several interested parties. Her buildings and moveables are now up for auction, making way for a new generation of owners. Both the property and moveables of Epping, Cape Town, will come under the hammer of black-owned auction house Clear Asset Pty Ltd. The site boasts prominent investment opportunity across two Ervin (Erf 107236 and Erf 112227 – Epping, CT), with the former including a private road registered as a formal servitude in the title deed. 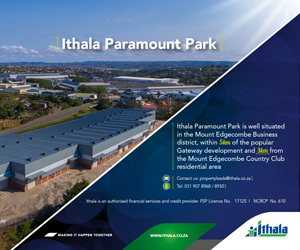 The two immovable properties will be sold at 10h00 through a live auction on 20 June held at ENSafrica (CT office). "The moveables offer exceptional opportunity for SME's and local and foreign mid-tier players looking to enhance their service offerings or add and upgrade existing infrastructure," says MD of Clear Asset Ariella Kuper. From adversity comes opportunity. There is also a complete fully fitted cold room cottage cheese plant worked for approximately 14 months before being mothballed, according to one employee. This moveable portion of the sale will be offered via online auction closing at 15h00 on 18 July 2017 and requires a R20 000 refundable deposit to register. Full due diligence, images and available information for both moveables and immoveable properties are available on the company’s website www.clearasset.co.za.